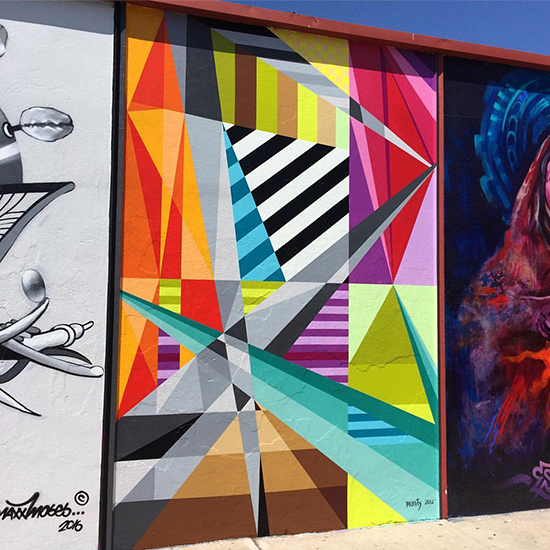 The “Geo #35” 9′ x 13′ mural done with Montana GOLD was completed in 2016 and is currently resting between two amazing works by Daniel A Hopkins & Miguel Angel Godoy in the heart of the North Park, San Diego neighborhood on the corner of 30th and Gunn street at The Studio Door Gallery. 3750 30th Street SD, CA. .